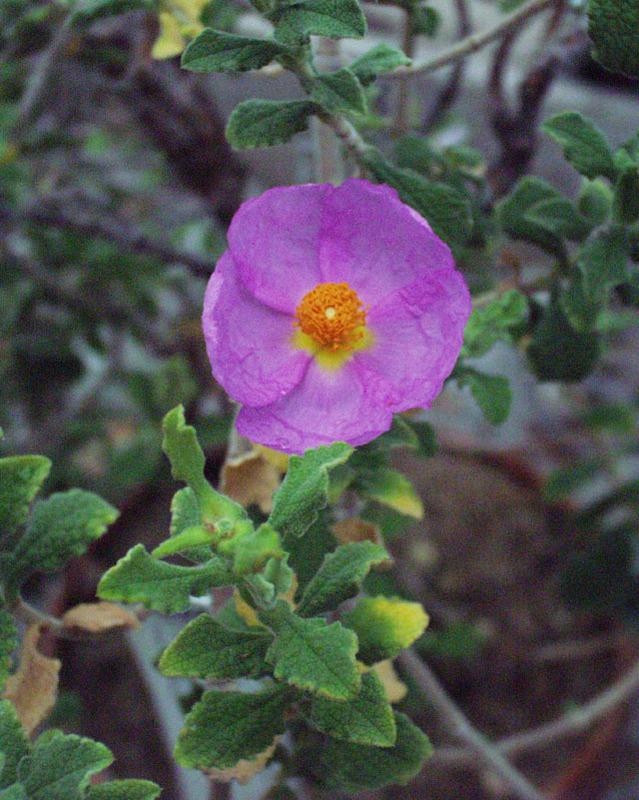 Description: Compact shrub, approximately 1 m (3 1/3 ft) tall and equally wide, with gray-green foliage and 5 – 6.5 cm (2 – 2 1/2 in) pink "roses" that appear in late winter – early spring. 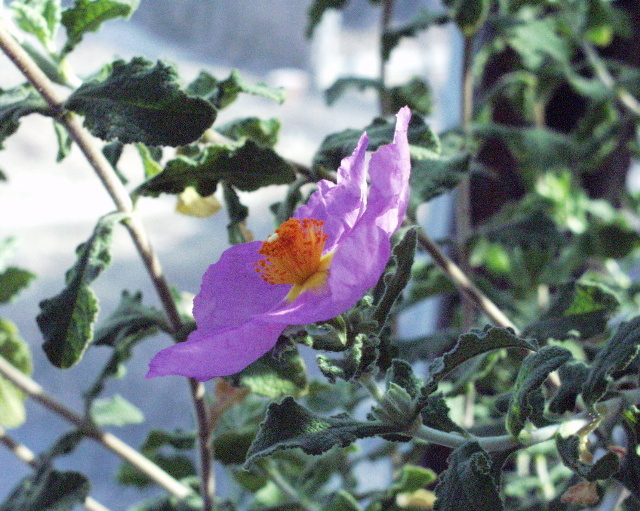 Both the leaves and flowers have a wrinkled appearance. Uses: Closely related to C. ladanifer (Ladanum or Myrrh). Stems and leaves also boiled in water to produce a tea-like concoction reputed to be beneficial for the skin and mucous membranes. The Plant List (2013). Version 1.1. Last accessed on Wednesday, November 08, 2017.